Remember back a couple of years and Pentium 4 CPUs were nearly hitting 4Ghz? Then along came the new Core 2 Duos and we were back to a mere 2Ghz (albeit with these new 'cores'). Intel has been pushing performance via efficiency (e.g. multiple cores) not brute Ghz. But that has always hampered 'straight-line' performance. And that's pretty much been the status quo since 2009. 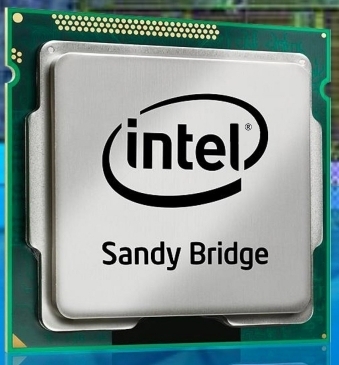 Intel launched the new Sandy Bridge architecture in January and (after some delays due to SATA bugs) the first production mainboards are finally coming on the market (and, yes, we went and got some for our dedicated server customers). First up: higher clock speeds. e.g. the E3 1230 we stock is 3.2Ghz vs. 2Ghz on some of the Nehalem CPUs we have. Built in GPU (saving the chipsets from needing an extra chip to handle integrated graphics, resulting in lower costs). Performance features like a new 'Turbo boost' technology. Vector instruction sets. Integrated 2 channel DDR3 controller. Better overclocking (though that's not something we would want to do in production hosting environments). Down from 45nm to 32nm chips (=less power, eg. on the E3 1230 chip we provide in our dedicated servers it is about 80W TDP). Overall performance is up about 17% over the Nehalem CPUs. Hyper threading (to virtually double the number of cores). Better power efficiency (always a plus in the data center where power/cooling is probably our most significant cost). Other goodies include 6Gbps (vs. 3Gbps) SATA support on the mainboard. Which is particularly good news with the latest SSDs which can come close to saturating that link. The upshot is that you get performance about as good as the previous generation's top end CPUs at the lower end of the new Sandy Bridge lineup, and for a great price. Currently Intel have not released a dual CPU chipset, so there is only a single processor option available. Customers that need the ultimate in CPU performance would probably stick with the dual Nehalem servers we offer until the dual CPU Sandy Bridges are available (Q4 2011-ish). Our Sandy Bridge dedicated servers are now in stock, racked up and ready for new customers. To sign up for your own box see http://rimuhosting.com/order/startorder1.jsp?hom=t-ded At the USD 219 price point they offer some pretty excellent CPU bang for you buck. Team them up with SSD hard drives and you have a very fast and affordable app server/database server. This entry was posted in Rimuhosting and tagged dedicatedservers, intel, linux, sandybridge. Bookmark the permalink.